Mix first 7 ingredients in a large bowl. 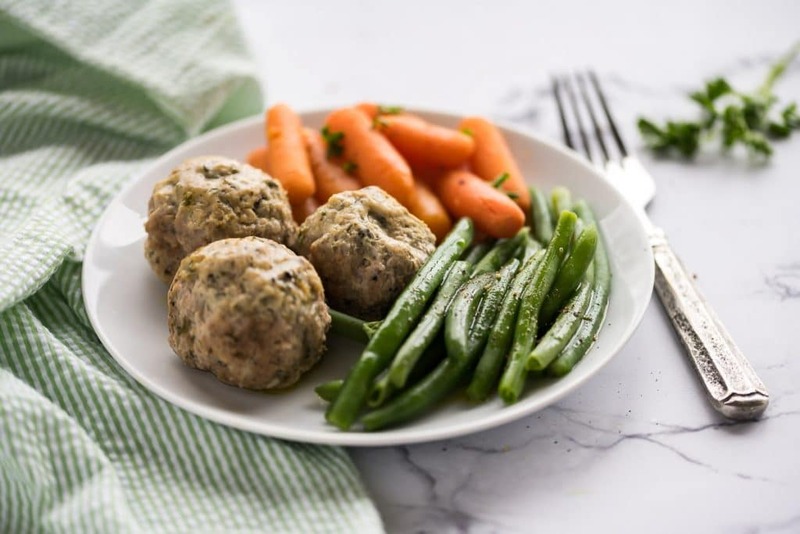 Roll into a little larger than golf ball size meatballs and place in a large container with lid. For uniform size use large Ice Cream Scoop. Place carrots, honey and butter in a large sheet of foil. Fold up to make a packet. Place meatballs in a slow cooker (in a single layer.. squeeze them in) sprayed with non stick spray. Mix broth and corn starch and pour over meatballs. Lay a sheet of foil on top of meatballs, then lay the carrot packet on top. Cook on low for 7 hours. *be sure to use dark meat so the meatballs do not dry out as easily.